Al Farhan Hotel Hafr Al Batin - Deluxe Junior Suite - . 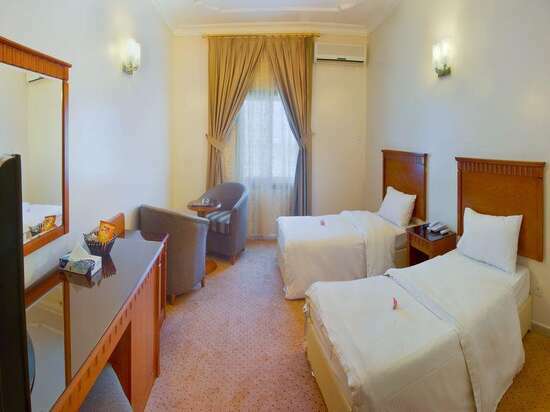 Al Farhan Hotel Hafr Al Batin - Two-Bedroom Suite - . 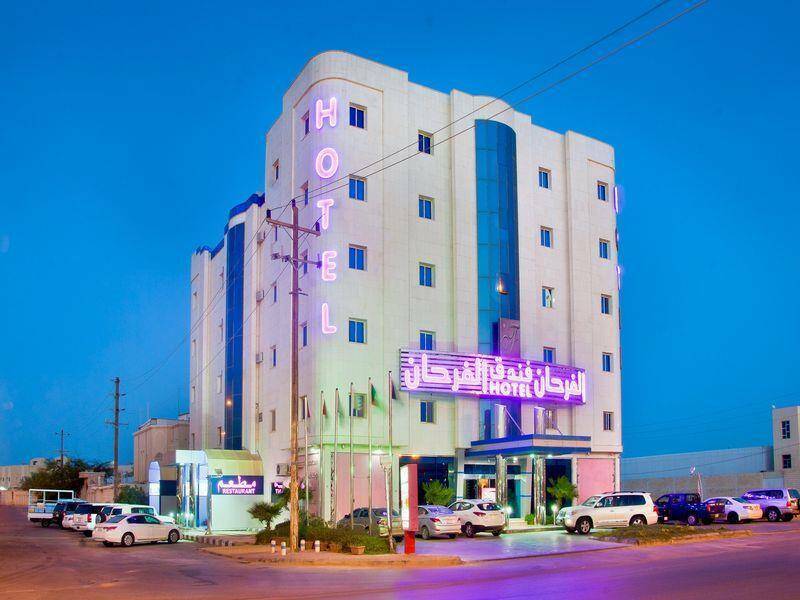 Al Farhan Hotel Hafr Al Batin is a three stars hotel, it is located in King Abdul Aziz Road, it is only 3.8 km from Hafr Al Baten. With its unique location, the hotel owns a wonderful design and a comfortable furniture. Al Farhan Hotel Hafr Al Batin includes a restaurant. There's an ATM machine and a currency exchange service at this property. Enjoy discovering Hafar Al Batin City by visiting the important landmarks such as: King Khalid general Hospital, Dr. Noor Muhammad Khan General Hospital, Ministry of Commerce and Industry, and Hala Mall. Free WiFi is available in all areas, free private parking is possible on site to enjoy a comfortable stay. When would you like to stay at Al Farhan Hotel Hafr Al Batin? Al Farhan Hotel Hafr Al Batin - One-Bedroom Suite - . The suite offers one bedroom with one extra large double bed, and this suite also offers mini bar, safety Deposit Box, refrigerator, and private bathroom. It is with an area of 50 square meters to enjoy a convenient stay. Al Farhan Hotel Hafr Al Batin - Deluxe Junior Suite - Al Farhan Hotel Hafr Al Batin - Deluxe Junior Suite - Al Farhan Hotel Hafr Al Batin - Deluxe Junior Suite - . The room offers one single bed, and this room also offers mini bar, safety Deposit Box, refrigerator, and private bathroom. It is with an area of 60 square meters to enjoy your stay. Al Farhan Hotel Hafr Al Batin - Deluxe Single room - . The room offers one extra large double bed, and this room also offers mini bar, safety Deposit Box, refrigerator, and private bathroom. It is with an area of 24 square meters to enjoy a comfortable stay. Al Farhan Hotel Hafr Al Batin - Economy Double Room - . The suite offers one bedroom with one extra large double bed, and this suite also offers mini bar, safety Deposit Box, refrigerator, and private bathroom. It is with an area of 70 square meters to enjoy a wonderful stay. Al Farhan Hotel Hafr Al Batin - Presidential Suite - . Al Farhan Hotel Hafr Al Batin - Royal Suite - . You can choose your bed, where this room offers one extra large double bed or two single beds, and this room also offers mini bar, safety Deposit Box, refrigerator, and private bathroom. It is with an area of 40 square meters to spend an elegant time. 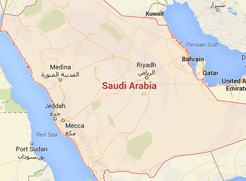 Al Farhan Hotel Hafr Al Batin - Standard Double Room (2 Adults) - . The suite offers two bedrooms, the first bedroom offers two single beds, and the second bedroom offers one extra large double bed, this suite also offers seating area, mini bar, safety Deposit Box, refrigerator, and private bathroom. It is with an area of 85 square meters to enjoy a pleasant stay. Al Farhan Hotel Hafr Al Batin - Two-Bedroom Suite - Al Farhan Hotel Hafr Al Batin - Two-Bedroom Suite - Al Farhan Hotel Hafr Al Batin - Two-Bedroom Suite - . Al Farhan Hotel Hafr Al Batin contains a highly convenient units, fully equipped with all sort of services and amenities such as wardrobe, air conditioning, telephone, flat-screen TV, mini bar, safety deposit box, refrigerator, and private bathroom with a hot tub and bath, with slippers and a hairdryer provided. Moreover, some rooms feature a seating area for your comfort. The units include these types and sizes: Budget Double Room, Deluxe Junior Suite, Two-Bedroom Suite, Deluxe Single Room, Presidential Suite, and Double or Twin Room. Al Farhan Hotel Hafr Al Batin includes a restaurant that offers delicious cuisines.